When I started this blog ,I had no idea how will I manage this space? 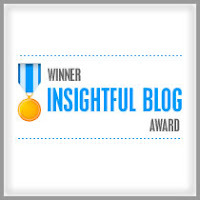 In fact many times I have dared to delete this blog.I haven't really got time. But these days we are transforming into a world class Vela's .I would proudly like to include Ajay,Thoorika,More Orangee and Blogger Anurag in this category .Nevertheless we haven't been trying to do anything constructive these days.But hopefully would do something great in the coming days.I am going to introduce some one special today.It is a person who is new to blogworld.I can never imagine the amount of efforts she gives to her blog.I could relate her as a celebrity in blog world. She is amongst the luckiest blogger to have this magic figure of 100+ followers less than 2 months of blogging. 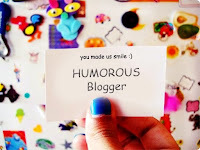 She is Creativity personified.It all started with a bloody comment as I was blog hopping in the blog world. (Sounds funny ).After talking to her,I realized that this person is interesting and different. She writes well (according to me).Well without much delay ,let me introduce this person. Lets start with the awards. Find your name. PS:Due to some reason I have not updated my "When We Met" series.I promise you that I will update it asap. 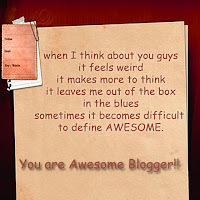 And I haven t posted the guest posts .Sorry Arjun and friends.Will do it soon. did i read shravan there? ? 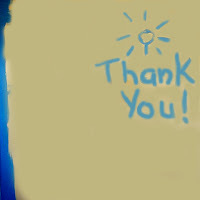 Hey thanks a lot for this :) Will be adding it soon to my blog! Congratssssssssss on the 150th post!! You made my day my friend...! 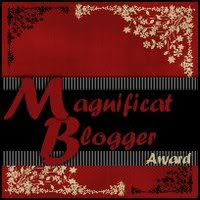 thanks for the Awards Stephen.. :) god bless..
right from her blog title to her blog posts,everything makes you laugh,sometimes to rotfl! OMG........OMG..... I am so touched bro..
once again thank u sooooooooooo muchhhhhhhh! Woaahh..thanks for the award!!! hope u reach many many milestones!! keep rocking!